SAVOY is a live electronic rock trio from Boulder, now living in Brooklyn, consisting of DJ Gray Smith, DJ/guitarist Ben Eberdt, and drummer Mike Kelly. Their distinctive style incorporates the classic sound of rock 'n' roll into techno, dance, and bass music. Featuring live instrumentation (drums and guitar), as well as vocals from GRAMMY-nominated artist Heather Bright, SAVOY's legendary live performances have been referred to as "one of a kind" and "the best [show] around." Their signature laser light show, voted 2014's #1 live laser show in the country by ILDA, creates an immersive multi-sensory experience that perfectly complements their high-intensity musical performance. 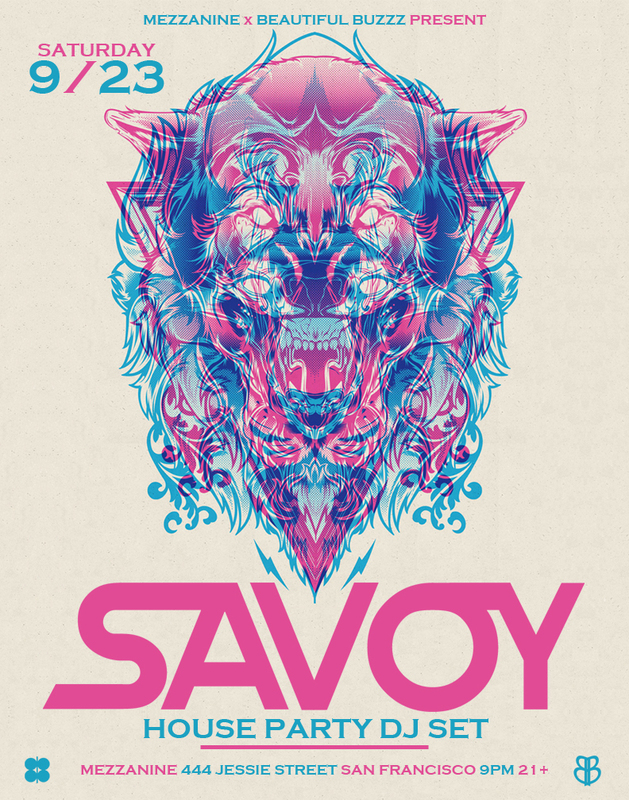 SAVOY stands out in today's crowded musical landscape, thrilling packed houses nationwide with a radically unique sound and one of the most unforgettable, hard hitting dance shows on the planet.